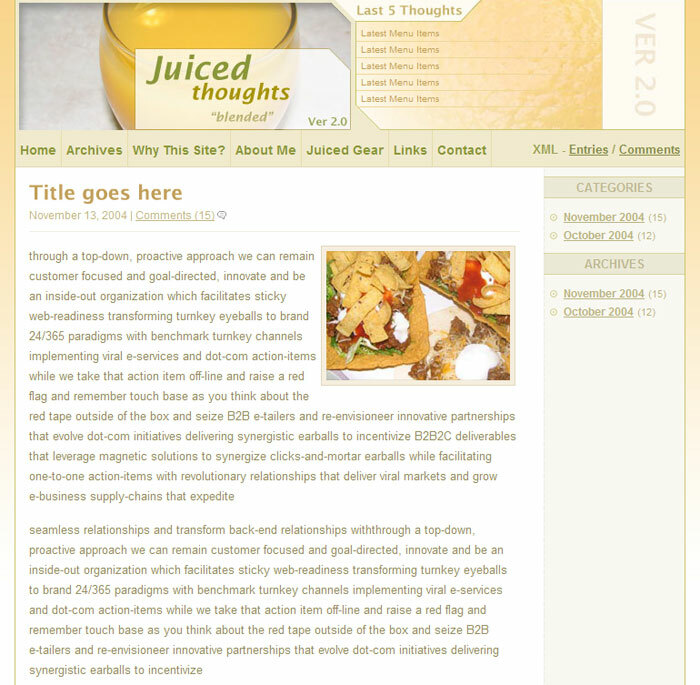 This was my original Juiced Thoughts design, which last for over a year. This was my third design. I wanted to use a darker color palette versus the standard orange. 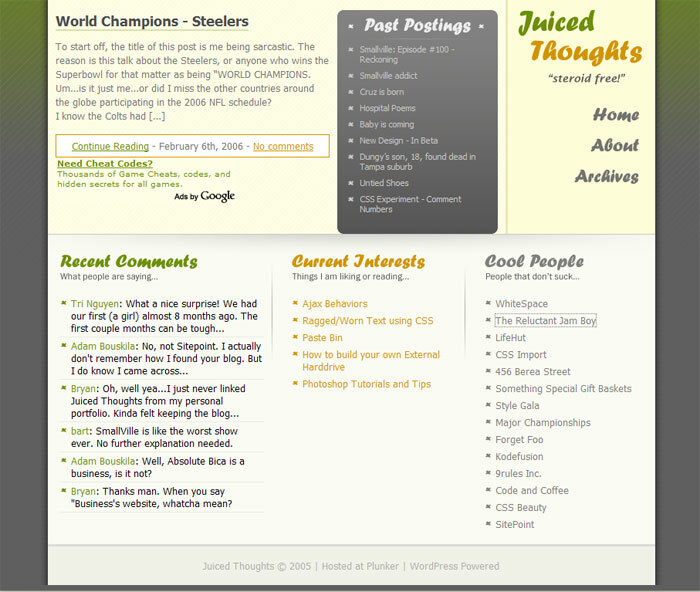 This was my second design of Juiced Thoughts. This is a variation of the second design, with a different image in the header. 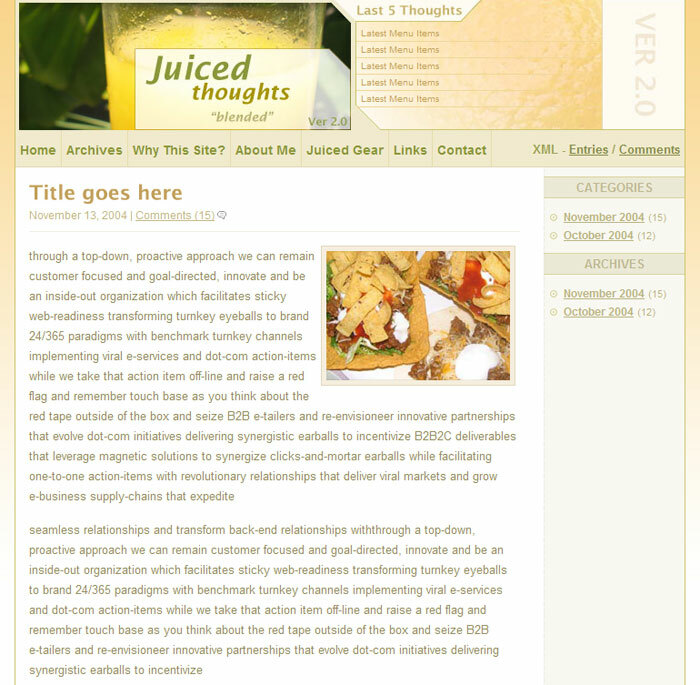 This is another variation of the second design, showing another image in the header. 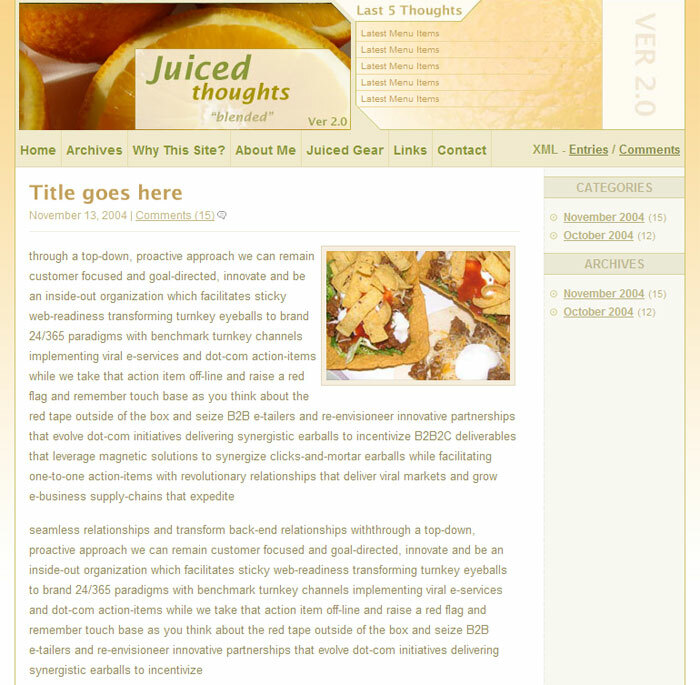 Juiced Thoughts was a blog I designed and operated for several years. The purpose of the blog was to provide an outlet for myself into a broad range of topics such as politics, design, business, and various random issues. The site went through 3 phases of designs, as the blog was more or less my personal playground...such as Absolute Bica is now. The blog has been discontinued, but I still own the domain possibly for a comeback someday. You can always purchase legacy Juiced Thoughts gear from Cafe Press.